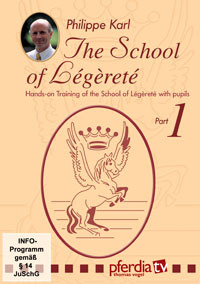 Philippe Karl, master of equitation and advocate of "légèreté" (lightness) is a world renowned rider, trainer, and classical instructor. 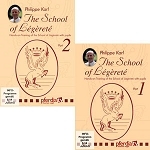 In his clinics he sensitively teaches the basics of classic equitation.This DVD series allows you to watch Philippe Karl work with his pupils, all of whom are licensed and future instructors of his School of Légèreté. He teaches average riders on a variety of horses — from appealing cart horses to eager Haflingers to noble equine competitors. Karl expressively adapts his teaching to the individual training standard of each horse-and-rider combination. Because of the array of teaching situations and the diversity of different horse-and-rider combinations, every rider, regardless of ability or experience, can easily understand these DVDs and find valuable solutions for their riding.